Buy online in India different ratings of Stepper Motors at low cost from DNA Technology. A Stepper Motor is basically a type of DC Motor that can rotate in discreet steps. Stepper Motor basically divides the full rotation of a DC motor into small steps which the user can easily control as well as make it hold the position. DNA Technology has variety of stepper Motors for Industrial Applications, CNC Machines as well as for 3D-Printers. These motors are of high quality and are procured from reliable manufacturers. 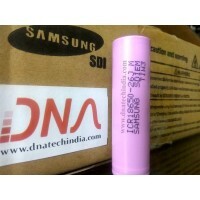 We can provide them in small quantity as well as in bulk quantity. We have variety of NEMA 17, NEMA 23 & NEMA 34 Stepper motors. National Electrical Manufacturers Association (NEMA) is a standard for motor and is commonly used in the industry to ensure that replacement parts will fit and be readily available, and that motors from different manufacturers will be interchangeable. NEMA 23 10.1 kg-cm Stepper MotorThey are the special choice for heavy duty CNC machines. They overpa..
NEMA 23 18.9 kg-cm Hybrid Stepper MotorThe NEMA 23 Stepper Motor is a powerhouse when it comes to la..
NEMA23 23 kgcm Hybrid Bipolar Stepper Motor The NEMA 23 Stepper Motor is a powerhouse when it com..
NEMA 23 28 kg-cm Hybrid Bipolar Stepper MotorThe NEMA 23 Stepper Motor is a powerhouse when it comes..
NEMA 34 122 kg cm Hybrid Bipolar Stepper Motor Stepper motor divides a full rotation into a num..
Nema17 1.6 kg cm Stepper MotorThe stepper motors move in precisely repeatable steps, hence they are ..
NEMA34 34Kgcm Stepper MotorThis Motor provides excellent response to starting, stopping and reversin..
NEMA34 87 kgcm Hybrid Stepper MotorThis Motor provides excellent response to starting, stopping and ..